Valentine’s Specials at the Fur Traders! 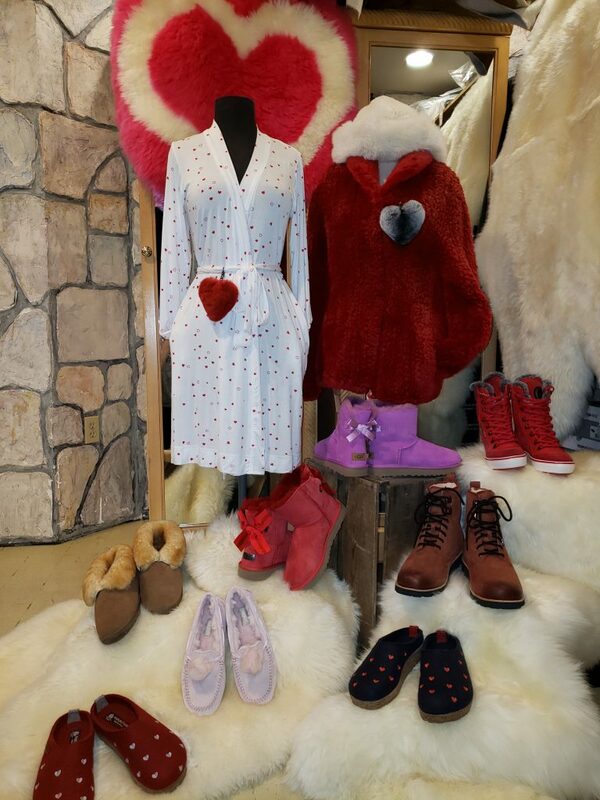 The Fur Traders are Giving ALL their Devoted Customers Valentine’s Day Gifts this year in the Form of UGG Discounts! All Customers that come in with Their Coupon, from our email, will receive 10% OFF select UGG product in the Store! Pick Something up for Yourself and Your Sweetie this Year. Stay in and Get Curled up with Matching UGG Robes, Jammies, and Slippers, or pick Between over 50 Different Footwear Styles, and if the Shoe Fits, get 1 in Every Color. If UGG doesn’t Warm your heart, Along with Candies and Chocolate get Your Sweetie something Sweeter that will Last a lot Longer this Valentine’s Day. Give your Heart Away on a Key Chain made of Real Fur, for them to Have and Hold Forever, or get Close and Cuddly on a Luxurious Washable Sheepskin Pelt, Rug, Throw, or Blanket, or Our Famous, Luxurious Real Sheepskin Slippers. Come and Feel for Yourself all the Products we have to Offer, from Men’s and Women’s Fur Coats, Jackets, and Vests, Wraps, Ponchos, Footwear, Hats, Wallets, Purses, Bags, Socks, and Too Much More to List. We, at The Fur Traders, want to Give Our Love to those Who have Given it to us Over the 40 Plus Years of Business in Beautiful, Historical Downtown Nevada City. Come in to our Downtown location at 303 Broad Street open 7 Days a week Between 10 and 6. Happy Valentine’s Day.